Washing versus Sanding - Which is the Better Way to Prep the Deck? 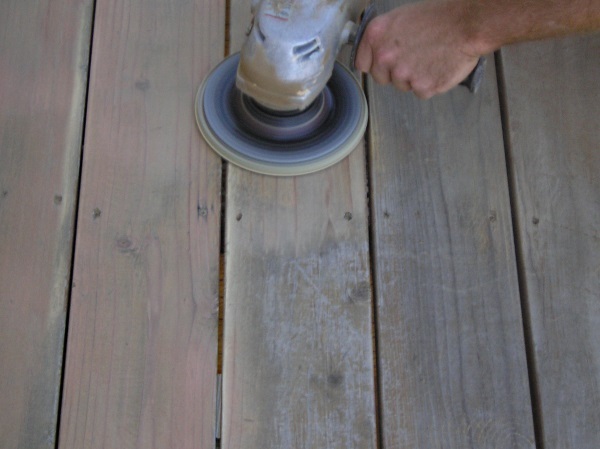 Home / / Washing versus Sanding – Which is the Better Way to Prep the Deck? Pressure washing a wood deck. We assess the condition of the wood. This will determine whether sanding should preceded washing or whether it should follow it. Splintered, cracking, or just plain rough wood should be sanded first, then pressure washed to open the wood’s pores and allow penetration of the stain. Smooth wood that is in fairly good shape except for fading and wear in the finish can be pressure washed first. After the deck has dried follow with a light sanding to knock down any fuzz or raised grain caused by the washer. We also consider the type of wood. Some popular deck woods, such as cedar are very soft. You can’t be zealous with either sanding or pressure washing. Pressure washing tends to fuzz up the surface on cedar, so you’ll need to be sure you use a lower pressure setting. Then follow up with light sanding to smooth the surface. 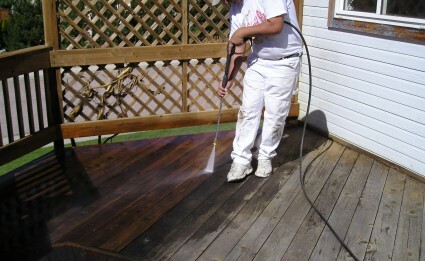 If your deck is made of pressure treated wood, you might not want to pressure wash at all. It releases arsenic into the water and contaminates anything the spray lands on. The Environmental Working Group recommends cleaning your check with soap and water. 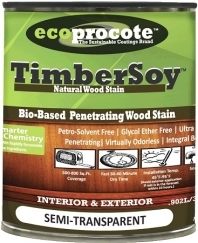 Commercial deck cleaning solutions or TSP can convert the chemicals in the wood into their more toxic forms. Sanding is also dangerous as the dust contains arsenic. So you only want to sand dangerous splinters. Use a vacuum capturing sander to reduce the risk that you or your pets and children will be exposed to toxic chemicals while you refinish your deck.